Many blue-collar, manual labor, and service jobs that were once low-status have become “cool” in today’s economy. In fact, jobs like bartender, distiller, barber, and butcher have gone from providing basic services and making mundane products to being cultural tastemakers and influencers. 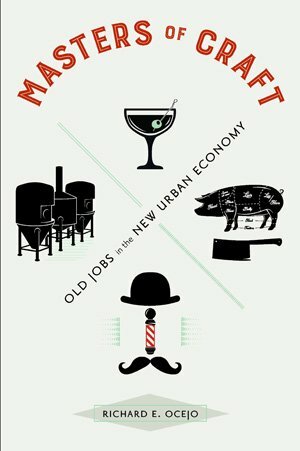 It is elite versions of these jobs, namely cocktail bartenders, craft distillers, upscale men’s barbers, and whole-animal butchers, in hip businesses that are shaping consumer choices in cities across the country. The most fascinating part of this shift is who has been doing the shifting, or who has been pursuing these jobs. It’s mostly young people with other options for work, like college graduates and people with good jobs in other fields. They want to work in these jobs, and pursue them as careers. And they do so at a time when the economy is largely knowledge- and technology-based, and when jobs in high-end service and creative industries are among the most valued and desired. At its most general, my book addresses the question: why do people choose the jobs that they do? Specifically, why do people who have the choice to do so refrain from pursuing good jobs in today’s economy and instead take up typically low-status trades? I found a few key explanations. Primarily, they pursue the elite versions of these jobs because they allow them to use their heads, hands, and social skills. Like much knowledge-based work, these jobs require workers to use cultural information to be creative. Unlike it, however, they get to do so by using their bodies to perform craft-based tasks and provide tangible products and services. Finally, they also get to share this knowledge with consumers. 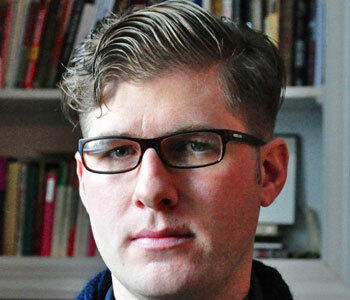 Thus, these attributes give these jobs greater status than they normally have. They become knowledge workers who get to learn a craft and directly serve the public. Readers of Masters of Craft will learn about the unique history and characteristics of each of these four jobs, workplaces, and industries, and the common features of these workers. Underlying the text is the tension between the positive revival and added social benefits of these jobs, and the negative exclusivity that surrounds them: the people who would most benefit from these jobs—people from working-class and low-income backgrounds—do not get them.